Jessica Andrade just had the performance of a lifetime as she completely steamrolled #2 ranked Claudia Gadelha at UFC Fight Night 117 in Japan. Claudia Gadelha was widely regarded as the clear #2 contender in the women’s strawweight division, and it was thought that only Joanna Jedrzejczyk could defeat her. 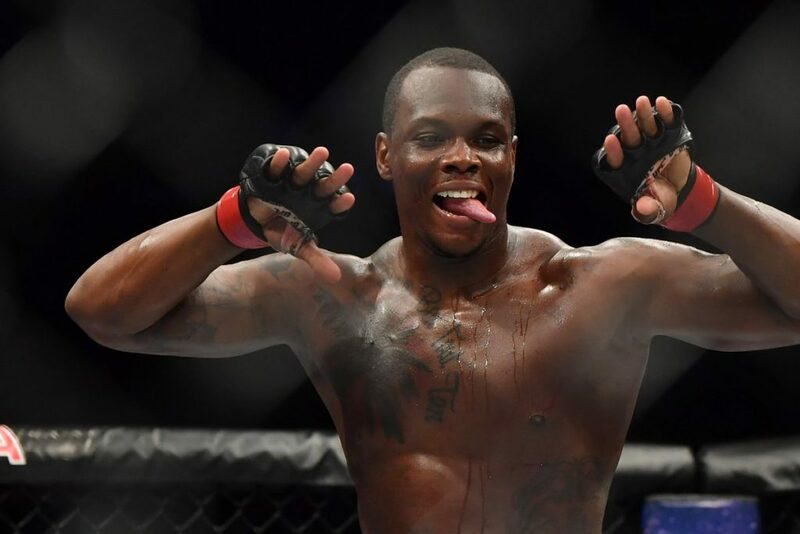 Well, to the surprise of even the biggest fans of Jessica Andrade, the 25-year-old Brazilian destroyed her opponent over the course of three rounds. What’s even more shocking is that Gadelha looked to be better than ever during the first minutes of the fight. Her striking looked to be improved, and her grappling has always been excellent; it’s just that Jessica Andrade is apparently better at each of these things. 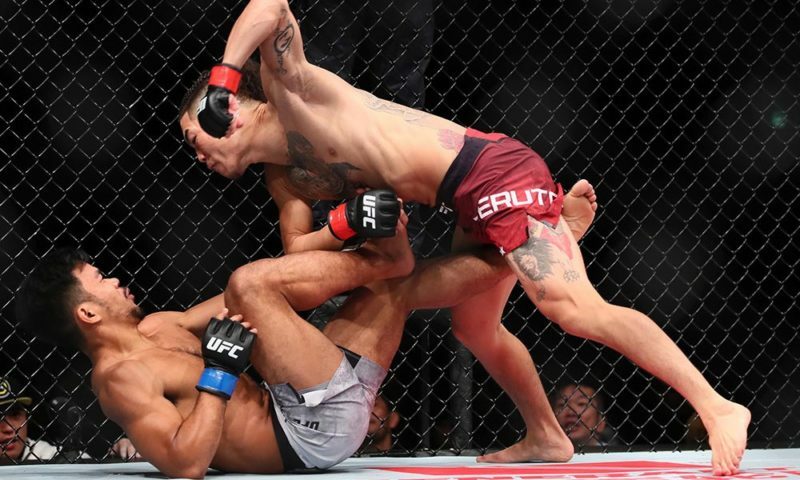 Andrade’s more dominant moments included tremendous slams and nasty ground and pound from inside Gadelha’s half guard. Jessica Andrade and Claudia Gadelha were awarded Fight of the Night for their performance at UFC Fight Night 117. The battle began with Jessica Andrade stalking Claudia Gadelha in classic style. Andrade usually looks to trap her opponents against the cage before throwing wild hooks, similar to John Lineker. In the early stages, however, Gadelha was landing clean shots as Andrade was moving in and she was getting the better of the striking exchanges. Gadelha’s confidence was on display, but a tough and gritty Jessica Andrade kept coming forward and was willing to take one or two shots to land some of her own. During the first round, blood started to pour from Andrade’s face like a leaking tap. It would be a theme of the entire fight as both Andrade and Gadelha would have severe cuts open up on their faces. 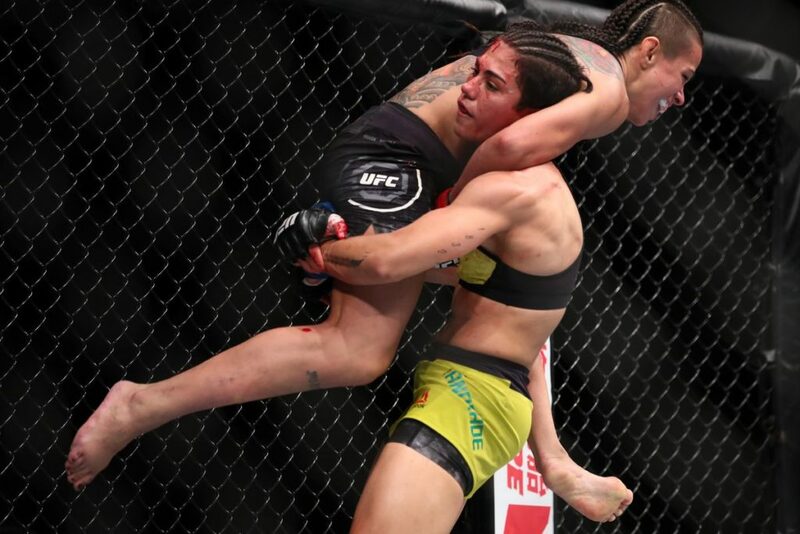 The first round changed in momentum as Andrade picked Gadelha up over her head and slammed her into the canvas. Gadelha attempted a guillotine, but Andrade managed to slip out of it. As the round closed, Andrade had passed into Gadelha’s half guard before attacking with ground and pound. At the beginning of round two, Gadelha secured a takedown of her own but a scrambly Jessica Andrade got straight back up to her feet. 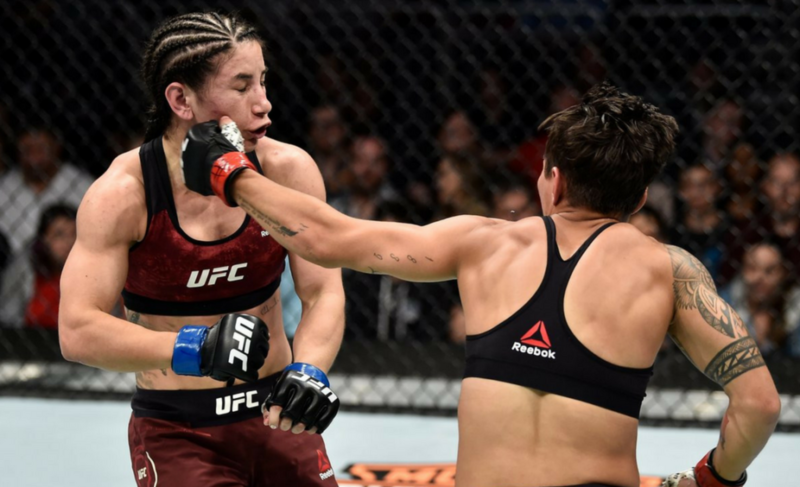 A moment of patience from Gadelha was noticeable, and when Andrade attempted to strike, she shot underneath the punches for another takedown. This time, Andrade ended up on top in Gadelha’s half guard again and began punishing Gadelha from top position. 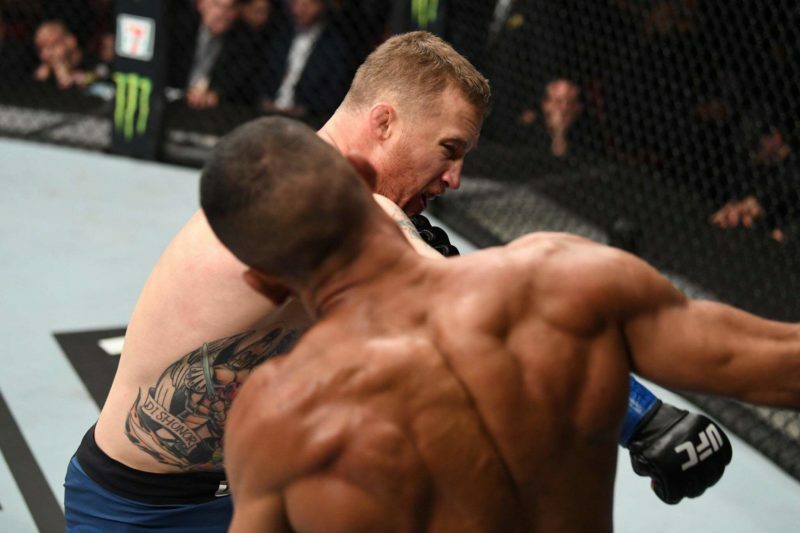 Andrade’s heavy top pressure was the key factor throughout this fight. 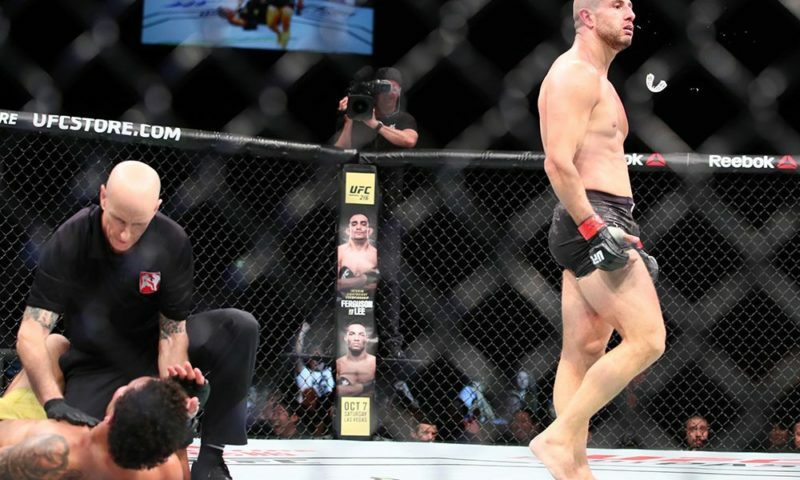 When the two returned to their feet, it became an all-out slugfest. 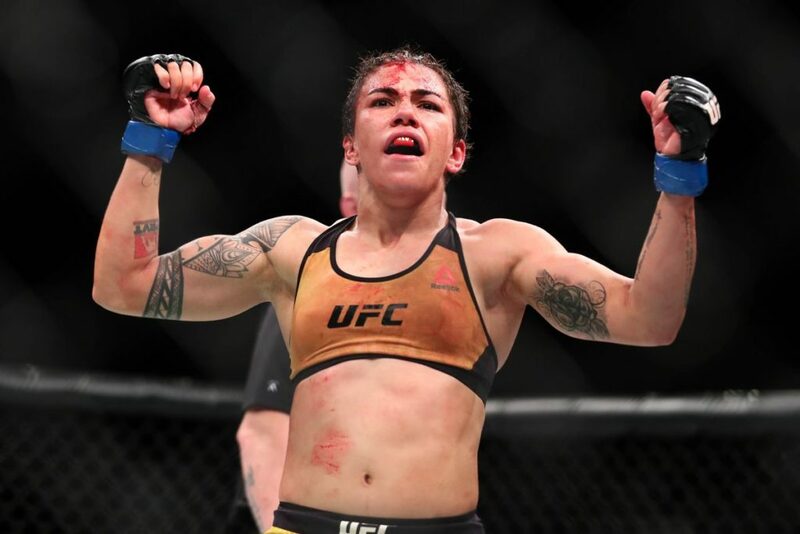 Now, Andrade was the more confident fighter of the two and stormed forward towards a tiring Claudia Gadelha who had realized that Andrade is more robot than human. 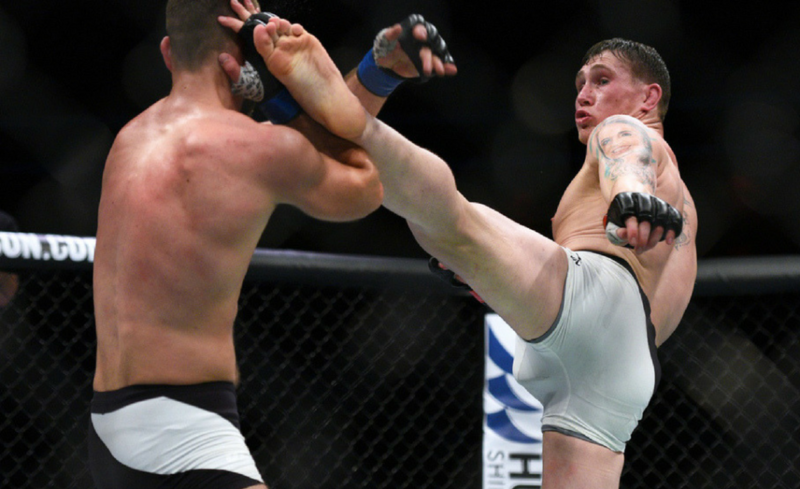 Gadelha’s footwork and timing had deteriorated, and Andrade was now able to go full-Lineker and plant her feet before uncorking devastating looping punches. The round ended with Claudia Gadelha exerting all of her energy into a guillotine attempt. Gadelha mentioned to her corner that she was unable to see anything in between rounds. 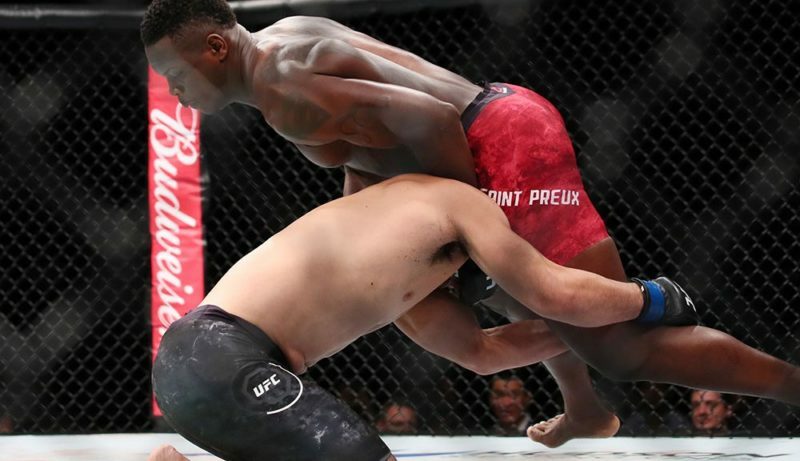 As they came out for round three, the two warriors showed a new found respect and hugged it out in the middle of the octagon before proceeding to inflict even more damage on each other. It didn’t take long for Jessica Andrade to lift Claudia Gadelha up and over her shoulders one more time before slamming her into the mat. It was the same story as round two, heavy top pressure and vicious hammer fists. This time, Andrade chose to damage the body of Gadelha and started punching the oblique area of Gadelha repeatedly with force. Gadelha had no answer for Andrade’s top pressure and was unable to scramble back to her feet. We’ll remember this as the time that Jessica Andrade stamped herself as the true #2 contender in the division by whooping Claudia Gadelha. Jessica Andrade is on a tier of her own; underneath Joanna Jedrzejczyk and above anyone else in the division. Her wrestling is phenomenal, and her chin is incredible. Andrade’s top pressure is unsustainable for opponents. She moved forward even through some hard shots from Gadelha but knowingly accepted that she would get hit so that she could land punches of her own and trap her opponent against the cage. Sadly for Andrade, the only blueprint for beating her is from the current division champion. She’ll need to keep beating other contenders in the division before earning another dance with Joanna. Gadelha’s striking was crisp and looked better than ever before. She was landing clean combinations on the chin of Andrade as she moved forward. Against anyone else, it may have been enough to put them away. Myself and many others had thought Gadelha’s jiu-jitsu was some of the best in the division. I’m now forced to reconsider this as Andrade bullied Gadelha and smashed her guard over and over. Gadelha was also seemingly incapable of recovering her guard and scrambling back to her feet. The fatigue issues are still there for Gadelha; and so is an apparent lack of confidence and determination once an opponent gets ahead of her at her own game.